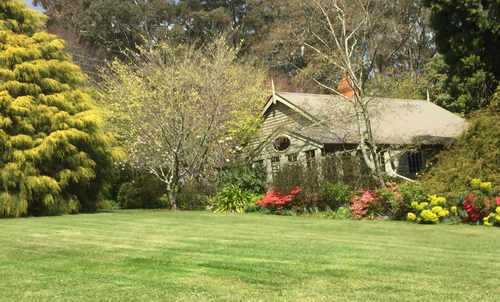 Bebeah is one of the original large garden estates of Mt Wilson, having been built by Edward Cox in 1880. The garden sprawls over 12 acres (5 hectares) where the precise geometry of tightly clipped hedges of azaleas, camellias, box and laurel merges seamlessly with sweeping grassy expanses, broad arcs of white gravel drives and pathways, gently weathered classical statuary and enticing glimpses of immaculately framed vistas. Open by appointment from 10am to 5pm. Please phone 02 4756 2014 if you intend to visit. Annual Rainfall avg: 1236mm. Summer avg. 391mm. No. of rainy days: 54 Winter avg. 230mm. The garden you see came about through the inspiration of Barry Byrne and is the result of more than 20 years hard work. His passion has transformed horse paddocks into the massed plantings, lakes, springs, vistas and walkways you see today. Spring and Autumn are the best times for colour, but Bebeah is lovely all year round. Wander past hedges that merge with sweeping lawns, white gravel drives and pathways, around the lakes and springs, classical statuary and take in enticing glimpses of immaculately framed vistas. 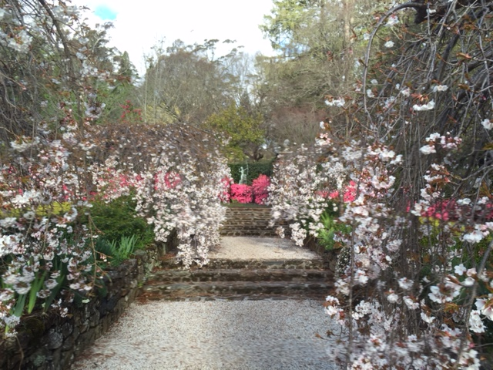 Azaleas, rhododendrons, cherry blossom and more ... the Mount Wilson area is famous for its amazing cool climate gardens and Bebeah is a gem at its centre though all seasons. Bebeah Cottages are luxurious, self-contained cottages tucked away in a secluded corner of our superb 12 acre formal garden. The larger cottage has two double bedrooms, two ensuites, full kitchen, dining room, sitting room and conservatory, and is suitable for 1 or 2 couples. We also have a one bedroom cottage available. Breakfast ingredients are provided. Telephone: (02) 4756 2014 or email malvareez@yahoo.com for enquiries and bookings. 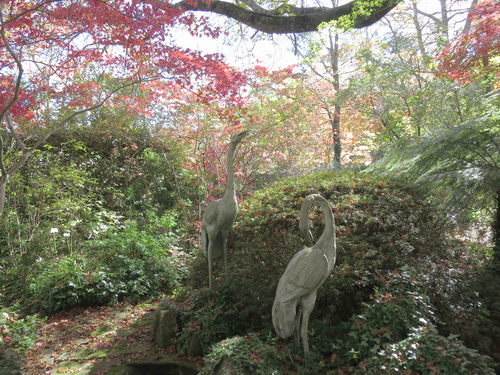 We visited a couple of weekends ago; it is one of Sydney's best kept secrets in terms of gardens. Whilst not abounding in flowers in autumn, it has been designed with plants, mature trees and water features so that it is presents as the perfect backdrop for those pre-wedding photo shoots. I plan to re-visit again in Spring to enjoy the 5000+ azaleas in bloom along the azalea walk. A breathtaking & beautiful garden leading you into different areas full of surprise and beauty. 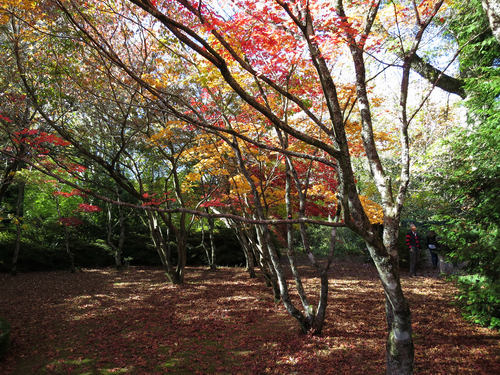 We wandered around for hours as one garden led into another and although the autumn colour had not happened it was still a stunning garden. Will definately come back in the spring ..The owners were delightful and loved chatting to them about the history of Bebeah. One of the very best. 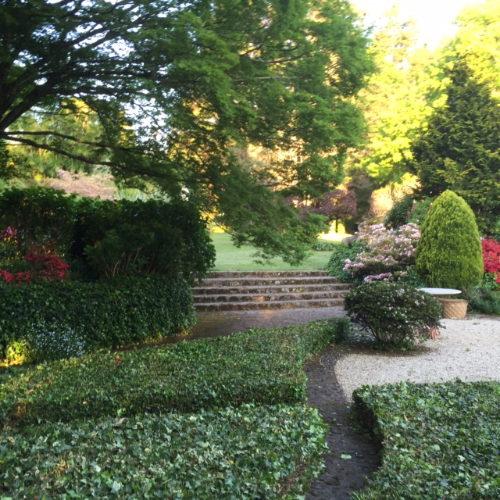 Bebeah has a superb layout complimented by restrained plantings. Every turn offers not only a pleasant vista but an artistic detail that draws the eye - and the camera lens. We visited this garden last weekend and found it breathtaking. Truly beautiful, I would definitely recommend a visit! Has inspired me to make changes to my own garden in the hoe of replicating parts of it.